We often hear how mindfulness can help us discover our common humanity. Here, law professor Rhonda Magee helps us embrace what is unique about each of us: our embodied experience as a particular person with a specific human inheritance, residing in a particular place, with a particular position, skin color, gender, and sexual orientation. We are applying mindfulness to what makes us different. And what a critical skill this is if we are going to learn to take a different person's position and work together to bring mindfulness to what Rhonda calls "the cutting edge of mindfulness"—shifting our institutions and social structures to reflect our deepest values. Tami Simon: This program is brought to you by SoundsTrue.com. At SoundsTrue.com, you can find hundreds of downloadable audio learning programs plus books, music, videos, and online courses and events. At SoundsTrue.com we think of ourselves as a trusted partner on the spiritual journey, offering diverse, in-depth, and life-changing wisdom. SoundsTrue.com: many voices, one journey. You're listening to Insights at the Edge. Today my guest is Rhonda Magee. Rhonda Magee is a law professor at the University of San Francisco. She teaches mindfulness-based interventions and is a facilitator of mindful and compassionate communication. A fellow of the Mind and Life Institute, she serves as an advisor to institutions ranging from the University of Massachusetts Center for Mindfulness to the Search Inside Yourself Leadership Institute. With Sounds True, Rhonda Magee is a featured presenter in our new Waking Up in the World online event series. This is a free 10-day online event with 30 of today's most inspiring spiritual teachers and visionaries—people who look at the intersection of social action and the spiritual journey. Presenters such as Eve Ensler, Van Jones, Glennon Doyle, Parker Palmer, Joanna Macy, and many more. This is a free 10-day online series that begins on September 24 and goes through October 3. And I invite you to join us. You can learn more at SoundsTrue.com. This episode of Insights at the Edge is a special episode that features a presentation by Rhonda Magee that was originally broadcast as part of a mindfulness subscription that Sounds True hosts. We received such an enthusiastic response to Rhonda's presentation. Our listeners found it so provocative and meaningful—especially in terms of helping us understand internalized racial bias—that we decided to make this presentation available for free to all of our podcast listeners. In this episode, Rhonda discusses how mindfulness can assist us in identifying our biases, how we can listen mindfully and speak mindfully to support deepening connection with so-called others, and Rhonda also guided us in a mindfulness meditation practice—awareness of embodied being-ness through place and ground. Rhonda Magee: Hello. Again, my name is Rhonda Magee. I am a law professor at the University of San Francisco School of Law and I'm also a mindfulness teacher. Again, I'm here to just share with you some of what I am exploring [and] working with along my own journey, looking at how it is that mindfulness and compassion practices really support us in social engagement with others. For me, mindfulness is both a particular kind of way of attending to the present moment—so, paying attention in a particular way with kindness and kind of an open, if you might call, friendliness, to what arises. So it's paying attention intentionally, on purpose, with this sort of attitude of openness and acceptance of what arises. And there are any of a very broad number of practices, formal and informal actions, we might take to enhance our mindfulness in any given moment and to deepen our capacity for mindfulness as a support as we engage in the world. As I discuss the connection between mindfulness and compassion practices for engagement, I am certainly going to be implicitly drawing on that definition of mindfulness and really inviting us together to be thinking about how those particular kinds of practices might support us. So again, mindfulness—that way of attending on purpose with compassion and friendliness to what arises—ideally, when engaged in on a regular basis can really transform how it is that we engage with our lives more generally. Compassion—as a kind of in some sense implicit aspect of what it is that we are about when we engage in mindfulness—is really about taking actions to alleviate the suffering of others. So, implicit in that is the capacity to sense into when another might be suffering. And I will say that compassion involves all of us. We call it "self-compassion" to kind of attune us to the aspect of compassion that's about sensing into our own suffering and having the intention and then the will to alleviate it. But again, just to sort of really focus in on for a moment on what it is when we use the word "compassion"—again, in this particular presentation I'm using it to capture the will [and] the willingness to actually take actions to alleviate suffering. And again, as we sit here and we imagine, again, to reflect together on these terms that I'm using and practices that we'll engage in together, really sense into how this notion of compassion already is a part of your own daily practice life and commitments. So, the topic here, again—looking at mindfulness and compassion-based social engagement—for some of us is, again, part of maybe how we already think about the role of mindfulness in our lives. In other words, while we may have a daily regular commitment to mindful practices, a formal regular practice that might involve meditation in the traditional sense of sitting practice or (of course) elaborated in many of the traditional ways: walking meditation, maybe body scans. Maybe even engage in something called "lovingkindness meditation," which is a kind of formal practice that embodies a certain kind of compassionate extending of the wish for well-being to successively broader circles of embodied human beings in communities. So, I imagine that you may already have a certain way in which your practices are already attuned to the desirability of enhancing your capacity to act with compassion in the world. And ideally, that includes, again, acting with compassion for yourself. However, in my travels, having taught at a law school for years and then [deepening] my own meditation practice through working with Zen teacher Norman Fischer, and then working with the Mindfulness-Based Stress Reduction community at the Oasis Institute—engaging in teacher training through that. So, through a variety of mechanisms I have deepened my own personal commitment to mindfulness and daily practice of it. But I have been integrating that all along with my work in the world as a law professor. And for me, teaching law is . . . well, it is fundamentally about engaging with people to—as effectively as possible—address the problems that arise in human community. And it is an ongoing challenge to work with other human beings around problems and conflicts. So, for me, I will say that growing up in America, having been born in 1967 in the South—really right in the period of the last year of the life of Martin Luther King. When I was born, he was still alive. By the time I turned one, he wasn't. I say that just to locate myself in a particular place and time. Where I was born in the south—North Carolina to be specific—in a still-segregated, predominantly (almost exclusively) black community under the laws of segregation at that time, and really in a world that was struggling with particular kinds of conflict that have to do with racial inequality and the call of the modern civil rights movement to really address those problems. And so, having been born in that time and place, born in this particular cisgendered female body with this particular skin color, a petite stature and height—in other words, my particular embodiment in the particular time and place of which I was born, I think, is actually very relevant to how it is that I came to this question of the role of mindfulness and compassion for social engagement. I say that as a way of inviting each of us to really reflect on how our own particular location; place; physical embodiments; the communities we've lived in, were born into; the particular time in which we were born—how all of these really serve to give us a particular set of experiences and perceptions through which we are in a certain sense privileged to engage with the world. And of course, those particular perceptions and experiences for each of us are so—in a certain sense—franticly, profoundly differentiated. Each one of us born in a particular time, place, heritage, embodied features that—in a certain sense—set us up for certain kinds of engagements in the world, certain types of experiences, certain types of conflicts. And they are different for each of us. So when we recognize the sort of radical uniqueness of our own particular embodied experiences, it can really assist us in seeing how difficult it can be to actually meet, to connect, to establish a sense of shared language even—even if we ostensibly are all speaking the same language, technically. But to be using (let's say) English words in a way that actually is understandable through the lens of the very different experiences and interpretive context that we bring to the words that we use. That's just one example of the very, very profound challenges that we all experience when we are seeking to come together to address any problems, to engage each other socially. Even if we're not thinking about problems, but just to come together and connect. So for me, having committed my life's work to the particular modalities of law, legal education—which is not just taken the formidable tools of law, but actually then working in the field of higher education with young adult learners who are involved in taking on a new professional identity—for me, this particular kind of work gave me all kinds of insight into how inner work—my own commitments to showing up in a way that would allow me to as much as possible see all that there is to be seen, connect with each human being that I meet along the way as free of bias and preconceptions as I might be able to. In other words, I was really attuned to the value of ongoing personal work as a support for doing this kind of legal education and working with others to address conflict, and the world to evolve. It was very clear to me the personal work could be of benefit. So, I [have] certainly, in my own way, found a way to bring mindfulness and compassion explicitly into my work as a law professor. I had been doing it implicitly before as a lawyer. But ultimately, I helped develop some courses and opportunities for students to actually see for themselves how mindfulness practices and particular practices that would enhance self and other regarding compassion might support us all in this challenging work of developing the capacity to support others in the midst of really intense conflict. So, I say all that just to say that the offering that I'm presenting here is really grounded in very kind of a real world, really hotly—as I say, rich—field of constant human engagement with new students, new classes, new problems. And on top of that, again, I do mindfulness teaching more generally. That also puts me in a position to connect with people from everyday communities, not necessarily in law—whether teachers, social workers, or just moms. People who are, in their own contexts, experiencing the challenges of social engagement. So, one of the ways I like to think about how mindfulness and compassion practices assist us is to really name different domains of engagement and of practice—let's say—that supports engagement in the world. So, the three domains that I'd like to highlight here are the personal, the interpersonal, and systemic-institutional-collective. Let's use a number of terms to try to point toward that aspect of our experience, which is always embodied or embedded in collectivities, whether we call them systems, maybe institutions, or other groups of human beings engaged in projects in the world. So, to start with the first domain, the personal: these meditation and compassion practices that I have already alluded to really do support us in the personal domain world. So, they are all about making a personal commitment to practicing in ways that support engaging with others, but they are personal commitments. So, are we willing on a regular basis to really engage in our personal contemplative practices as a foundation for everything we do in the world? And again, those practices have formal dimensions where we say we're going to sit on that cushion for 10, 20, 30, 40 minutes at a time on a regular basis. And through that process to really work with what we are bringing into the world when we engage with others; to deepen our capacity to notice and to know our own minds; to notice and to know the patterns and conditions and habits that we bring to the way we perceive the world; the way we react to others in the world, to challenges that arise in our daily lives. Isn't that really what meditation practice is about? Sitting ourselves in the fire of our own humanness. So, that personal domain is always the foundation for me of what it is I want to talk with you about, talk with others about when it comes to looking at mindfulness and this relationship with social engagement. At the foundation of everything that I do is a personal commitment to my own ongoing work. And it's from the kind of humility that arises from that—the kind of sense that I too am a work in progress—that I seek to really support others and seek to meet others from this place of regular engagement with how I am challenged to kind of go through the world with awareness and to meet others as openly and with as much capacity for connection as possible. This is not easy for us to do. So, having those personal commitments that, again, may look very differently for each of us—our mindfulness practices, our walking meditation practices. 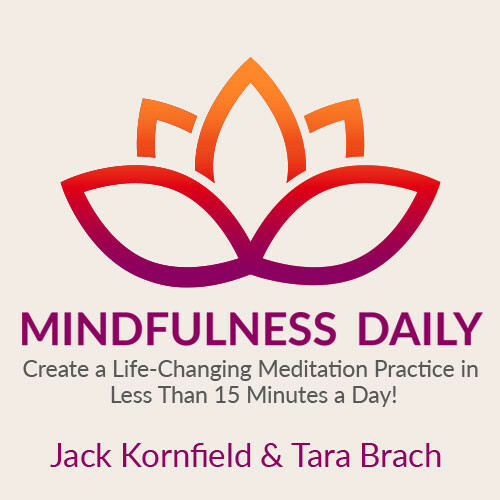 Other contemplative practices that are not limited to the traditional mindfulness arena, but mindful writing and journaling. Becoming, in other words, in a regular way vulnerable and open to your own humanity. This, I think, is essential for mindful engaging with others. From there, the interpersonal dimension becomes quite apparent. Again, we are just profoundly social beings. We come into the world through a human being—one in particular, who gave birth to us—and through the absolutely essential contribution of another human being. So, our parents in the particular, literal connection that brings us into the world—the connection that brings into the world. I see those as profound reminders whenever we may forget that we are always inherently embedded in relationship. Now, our particular parents may not be the parents that we are privileged to be with today for a variety of reasons. And yet, that we are here, that we live, is a constant reminder that we have always been in connection with some other human beings. And again, because of the profound extent to which human beings are social animals, we're sort of always in some sense more or less involved in some packs, some tribes, some herds. This may be very different for all of us, and we may feel very isolated from time to time. There's almost a crisis around feeling disconnected in our current modern societies. On the one hand, in a certain sense we're always embedded in some kind of community. We don't exist as islands. If we think about it, just the mere fact that I can use these words and you can understand them means we already inherit a profound amount of shared human contributions that enrich our lives. We didn't create the language through which we connect with each other. And without it, gosh how bereft we would be of the capacity to thrive in the world. So, if f we bring just a modicum of awareness to what it means to be human, we can just readily see the many, many different ways we're constantly inheriting the gifts of being engaged with other people—whether it be the food that we eat, that for many of us . . .we certainly don't produce all of our food. The clothes we wear. There are just so many, many, many reminders that we're just completely immersed in interactions with others. Even in our most lonely moments we have some ready reminder that we're really embedded in relationships with others. But more specifically, we are often engaged in specific communications with others, whether it be at work, in our families. So, interpersonal mindfulness: bringing these capacities for being present with openness and attending with kindness to other people. This is a kind of a way image the mindfulness and compassion practices that we might engage in on our own, in our personal practice domain, can open us up to more rich connection with other people. So, mindful listening to one another, whereby we really open ourselves up to listening in ways that allow us to become a space within which the truths can be spoken (for example). And those moments where we really want to hear from another person. Noticing the ways in which we can be conditioned to be multitasking; to give off—as one of the participants in one of my workshops said to me, "I'm so tired of the appearance of listening." We all kind of know when we're getting from other people less than full attention and we all kind of know when people are giving us those sort of cues that they want us to think that they're listening, but they're not really fully there. Not only do we know when we see it in others, we actually—if we are willing to admit it—know when we give it to others. So, mindful communication is about (again) bringing the commitments that are at the core of mindfulness to daily awareness, to being more present right into the moments in which we connect with other human beings, And seeing that as a sort of a seamless continuation of what it means to be mindful in the world, what it means to engage in mindfulness practices. So, there are ways in which we can specifically support deepening mindful communication. I believe listening—I speak about listening first because I think when we talk about communication, we often think about the speaking part and we're often mindful of the way in which we want to be heard. Of course, communication is always about relationality. If we are really seeking and intending to connect more richly with others, we sort of need to develop that muscle of seeing ourselves as listeners—as being even more important, I think, than speakers. How do we listen to each other? I like the phrase that I picked up somewhere: "listening as a way of caring." There are many indications that when a person feels listened to, that is almost indistinguishable from the feeling of being loved. I mean, we try to describe what it feels like to be loved. And we describe what it was like to be a heard and listened to well. They kind of collapse together. So, listening is a profound way to show you care, and we know this. We know that when we are listened to, we certainly can feel a measure of calming just in that process. So, mindful communication practices that ground us in our role as a listener in the capacity deeply help heal our connections with others through our capacity to listen with love, frankly—these are really available to us as supports for mindful and compassionate engagement in the world. So, later we'll together practice some mindful communication practices that ground us in that capacity to listen with mindfulness. And certainly, of course, we want as well to speak and share who we are in ways that embody our practices as well. So. the whole domain of communication—of speaking from a place of presence and groundedness, and of listening—all of this entire domain is really a rich space for practice as an intentionality, as we think together about how our mindfulness compassion practices support us for work in the world. Again, these interpersonal engagements—whether we are speaking one on one or with small groups; in intimate small groups or larger collectivities—these interpersonal engagements are profound opportunities for healing, for living the experience of interconnectedness and interbeing, and bringing the intentionality that is at the ground of (I think) the commitment to be mindful in the world, to how it is that we engage other people—is really an important domain of the work of bringing mindfulness and compassion practices to social engagement. And then that last domain: the institutional-systemic-collective, I think that's the area where those of us in mindfulness really have done, let's say, not as much work as we perhaps will do. I think that more the cutting edge for the mindfulness community. How is it that our practices support us in the relatively challenging work? It's all challenging. To live is to be met with ways in which we suffer, as we know. But certainly, the particular challenges of trying to engage insistence—formidable structures through which we are often met with politics of division; politics of in-group versus outgroup; inclusion, exclusion; have versus have-not. We are in a world right now where inequality has been increasing and, literally as we speak, we know in America laws are right now being deliberated and perhaps being passed that would seek to radically redistribute income yet again in ways that appear to be threatening to increase the lived experience of those who are already wealthy having more [and] those who are not so wealthy having less. So, that's an example of a way in which we are—every day, as we live in the world—invited into engaging with institutions, systems, collectivities, and the projects being manifested and perpetrated by those collectivities. Is there a role for mindfulness in that? I think that for many mindfulness teachers and practitioners, there is a sense that—there's a sort of an implicit theory of change or social engagement that basically says, "If we work on ourselves and as mindful as we possibly can be, we will in some way be affecting these larger systems and collectivities. And maybe that's the most we can ask for." And I honor that view and I believe very deeply, actually, in the power of it. Indeed, I do believe. This is why we say we start with our own personal commitments and that's the ground. I do believe that simply doing that—if we don't do much else or anything else—we are, by those very commitments changing every system in which we are engaged and connected. And certainly if we are bringing intentional awareness and compassion to our interpersonal engagements with others, we are also in a very real way changing those systems. We're healing the individuals who make up the systems and institutions of our lives, actually healing ourselves and each other in these connections—through these more rich connections. I think all of these things have systemic and institutional implications. But I want to push us in the mindfulness community to really be thinking about more direct means of bringing mindfulness to bear in systems and institutions and collectivities. I think we already do that in very explicit ways. For example, the idea of practicing in communities in groups like this one. This in and of itself is a kind of collective mindfulness endeavor. It is kind of organic. Not so organic—I mean, this didn't just happen. But we are, in fact, both intentionally and organically changing systems by being in this conversation together. This is a systemic intervention into the systems of the world around us. So, by this beautiful medium of technology, I'm sitting here in San Francisco, California on this particular day and you are where you are. And yet, we are now in this network that is definitely a kind of connected, systemic intervention into the broader systems in which we work. That's one way we can think about what this might mean. There are many, many different ways. For me as a teacher, I think about specific communities that might benefit from mindfulness that actually aren't traditionally brought into the fold of the work that we do. In America, in the Western mindfulness movement, I think we've been rightly criticized by some as being primarily about individual invitations. We come to mindfulness. It's best we do our own personal training. We get a teacher. We get our cushions. It's a very sort of individualized invitation for many of us and through many of the doors into Western mindfulness. And that has its place. And yet, many of the people that I've been engaged with of late have been asking for much more of an appreciation of the embeddedness of the individual already in community. I was just in the UK giving a presentation. I had the privilege of being invited to speak to Parliament in the UK, in London, about mindfulness as a support for minimizing bias in our interactions with others. So, the ways that our brains tend to meet one another through the lenses of our experiences, our particular positions, and through the mental shortcuts that social psychologists call "schemas"—the ways we've been trained to process the world quickly and efficiently. We mentally shortcut each other. We stereotype each other. We put each other into boxes and we miss in all of that many of the rich human beauty and uniqueness that might be there for us. The conversation about stereotypes and how mindfulness can help us become less beholden to them—as a subset of a broader conversation about, again, how mindfulness might specifically support us in working in diverse communities and in meeting the needs of the full range of human populations and communities who might be invited into our mindfulness work. So, what I've come to see is that when I begin to talk to people about social interactions and stereotypes and bias as it shows up in our world, it's not long before people start wanting to talk about the processes by which mindfulness is delivered and discrete meditation centers out isolated in beautiful places often, but places that are often separated from urban communities in contexts where natural communities actually are in need, and often where they can't access some of these practices and engagements and offerings. These conversations about who we are, how we engage in the world, and how that sets us up for missing each other very frequently, in my own experience, start inviting the conversation about, "Well, how is it that we've organized the mindfulness work that we do?" How is it that the systems through which the mindfulness work that we are doing are delivered in the world are embedded in a particular kind of worldview (kind of a hyper-individualized worldview); predominantly maybe acculturated to whiteness if we're looking at the sort of racial makeup of the predominant practitioners of mindfulness in the West? Even though, of course, these practices were inherited and translated from populations which were much more diverse? So, this then invites a really rich set of conversations. And really, for my purposes here, I just want a name that this systemic-institutional-collective domain has many, many different doorways in. [I hope] we can together inquire in a rich way about how it is that our mindfulness practices support us in sort of meeting the systemic, institutional, collective, or community call that it exists for each of us wherever we are. For me, it has been about bringing mindfulness to law students in law schools and into activist communities in San Francisco and elsewhere, and into the higher education community so that we have this notion that mindfulness has a place in higher education. But for each of us, that might look very different. So, my call and my sort of invitation, and the inspiration I want to leave everyone with, is to really look and be open to this question as a practice question to sort of invigorate our work going forward in the world. How is it that mindfulness and compassion practices support us in the work of engaging in collectives and institutions for profound transformative potential, for profoundly transforming those institutions as we go? With that, I really want to pause and really invite kind of settling in, taking in what it is that I have shared here. And again, seeing it just as sort of an opening set of explorations. This is not a full set of conversations that we might have about this topic, but it is meant to provide a source of support for you as you, in your own ways, practice with mindfulness and compassion practices at a personal, interpersonal, and systemic level for transformation that might impact all beings in ways seen and unseen. Thank you. TS: You're listening to Insights at the Edge, produced by Sounds True. We welcome you to learn more about our collection of more than a thousand learning programs and receive three free gifts just for visiting us. Go to SoundsTrue.com/free. That's SoundsTrue.com/free. And now back to Insights at the Edge. RM: Let us—together, then—practice. And in this practice we're going to do some of what I talked about: really looking at who we are. Our particular embodiments, the particular life experiences that we bring to the cushion in that personal domain of practice—that we're going for interpersonal engagement with others and that kind of position us through systems through which we might have some impact over the course of our lives. So, what we're going to be looking at, again: particular identities and heritages that are a part of our own experience and that are, in that sense, always present. Always present. [They] have been in this conversation that we've been in and are a rich potential source for deepening connection with others in the world. So, if we can just pause for a moment, I'm going to actually use the support of a bell for this practice. I'm going to ring the bell. As I ring this bell, please take this as an opportunity to sort of drop in, sense into the body and this place, and open to the guidance of the meditation that will follow. RM: So, dropping into the sense of peace, calm. Allowing the sound, the receding sound of the bell. And focus perhaps on your own sensations of breathing and sitting to ground you in this moment. As you breathe in and out, simply notice again any places in the body that are feeling in any way constricted and invite kind of a sense of opening and resting. Again, we want to practice as we go, attending into our own experience with compassion. So, perhaps in the next in-breath and out-breath, really invite the sense of releasing, letting go on the out-breath. And on the in-breath, sensing into what is well within you. So, this practice of awareness of embodied being is through place and ground. [It] really invites us to sense into our particular bodies in this moment. So, bringing our attention to the sensations of being a body, whether we find ourselves drawn to points of contact with the floor or just a sense of breathing in and out. If there is any way in which you can sense into some appreciation for the body that has brought you to this moment in its particularity. Breathing in the sense of awareness of the dimensions of your body as you sit. Or if you're standing, just sensing into the length or height; the width, the breadth. As you breathe in and out, the depth of your being. By depth, I want to invite kind of opening up, sensing into the particular place in which you find yourself now—the particular social, geographic location. The place: the literal place in which you find yourself. Breathing in and breathing out a sense of belonging to this place. You are here in this particular place. In some way, this particular place in which you find yourself—I find myself—in this moment, is a support for what may happen in the next moment of our lives. So, the invitation is to sort of expand into awareness of what this place represents for you—how it is that you find yourself, this embodied being, yourself, in this place. Sense into thoughts, emotions, and sensations that arise as you take in the particular characteristics of the place in which you find yourself. The comfort or discomforts. The fortune that has blessed us to be where we are or the challenges that we are bearing up against as we sit where we are in [this] particular location in this moment. How did you get here? Where are you now and how did you get there? If possible, then expand the sense of awareness to include (just as kind of an inquiry) into the different aspects of the path that led you to this place. What are some of the ways you were supported in arriving here? Particular communities and people who supported you. You're maybe thinking of your family of origin or a school or a set of teachers. So, we're calling to mind aspects of what I'm going to call "place." The place in which we find ourselves. The placements in which we find ourselves in the world. How did we get here and what are the networks of relationships and experience in the world—the heritages, the cultures—that we have seen and been blessed with? Another word for what it is that we're touching into might be "position" or "positionality." We're just trying to turn toward a sense of awareness that we arrive into conversations or engagements with others from some place—from some positions, let's say—that we've inherited, that we've embraced, that we've identified with, that we've struggled against. So, breathing in and breathing out a kind of awareness that we inevitably come into engaging with others from some place. If there are emotions arising as we explore the sense of ourselves as contextualized—we come in from some place; we are inherently positioned in some ways—are there thoughts, emotions, reactions arising as we experiment with this meditation? If so, simply see if you can name them. Then come back into a presence-ful being with what arises when you allow yourself to inquire about your own position. Now, if you can specifically think about the particular characteristics of your body—the skin that you're in, the particular coloration of that. How [is] that tied to meanings that are associated with a culture that we didn't create, but that we know something about? The gendered aspect of our being. Now we're looking then at the sort of social characteristics that in some sense impact how it is that we see ourselves and that others may see us. So, sexual orientation, disability or ability—different characteristics of your own embodiment that are part of the particular place and positionality that you bring into the world, that you are met with, that others see when they meet you. Again, noticing any emotions that arise. It may be painful to reflect on these aspects of our experience. But the invitation is to bring a compassion—a sense of the desire to meet any pain that is arising with kindness. Breathing in and breathing out. Maybe imagining holding yourself in this moment with an envelope of love. Acceptance of what is. Even the resistance—just accepting. And let go as much as possible into just noticing what's next. So, breathing in and breathing out in this way, the invitation is to sense into the way in which our embodied positions in place are at the same time profoundly indicative of a deeper ground. So, as you breathe in and out, just settle into what there is that might be beneath this particular embodiment—the ground beneath you; the support that exists for you in this moment through the breath, through this practice community, this community of practice. And the invitation is to see the way that place and ground together are beautifully who we are in a certain sense. Not this or that. All of this. All of that. Sensing into the sense of connection in and amongst all of us who are practicing together as we breathe in and out. Supporting each other in being with the realities of our lives. Not being stuck in some sense of what those realities are or may be. So, allowing whatever may have arisen to kind of dissolve. Any visualization, any thoughts, any emotions even. See if you can just now settle in in a way that creates a kind of a loving space for holding what you know about your own place and positioning. You're resting in it in a way that allows for what's called equanimity, what might be called flexibility or flow. Touching into what we know about these aspects of our position that lives and not necessarily being stuck in those knowings. What else might we know about what it means to be alive right now? As we come toward the close of this meditation, see if you can—with compassion—breathe in and out a sense of the wholeness of your being in this moment. All that you are: the heritage, the lineage, the rich human inheritance. That is who you are in this moment. And the more than human—that which has no name. As we bring this meditation to a close, see if you can really sit tall and with strong back, soft belly, soft heart. Deeply embody your being in this moment—all of who you are; place and the deeper ground—in a way that might support you in your journey on this day. TS: You've been listening to Rhonda Magee. Rhonda is a featured presenter in our Waking Up in the World online event series. 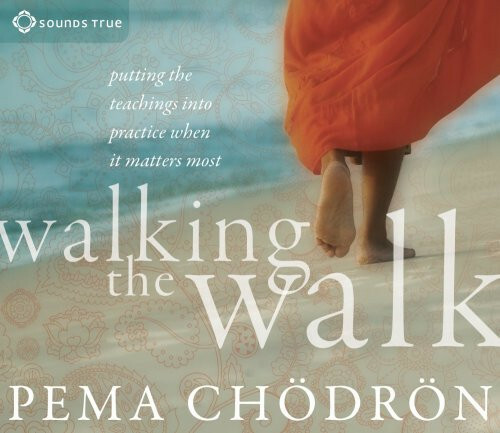 This is a free 10-day online event that gathers 30 of today's most inspiring spiritual teachers and visionaries, including people such as Joanna Macy, David Suzuki, Parker Palmer, Valarie Kaur, Eve Ensler, Van Jones, Jack Kornfield, Tara Brach, Clarissa Pinkola Estés, and many others. I invite you to join us for this free 10-day online event. It starts on September 24 [and] runs through October 3 with three broadcasts each day. One at 10 AM, 2 PM, and 6 PM Mountain Time. Please come to SoundsTrue.com and learn more about this 10 day event, Waking Up in the World.